At ARRIS, we are redefining connectivity. We partner with the world’s leading Service Providers and Enterprises to provide core-to-edge network innovation, constant connectivity that meets consumer demands and cost-effective, scalable solutions that enable them to succeed. Looking towards the near future, it's certain that new technologies will demand low-latency and ultra-high-speed networks. Soon, applications will stretch beyond communications, commerce, and entertainment. Meeting the world's connectivity needs requires constant innovation, efficiency and the ability to scale network solutions. Our products help customers to achieve sustainable productivity in a wide range of markets, including general engineering, manufacturing and process industries, construction, automotive, mining, electronics, oil and gas, and much more. 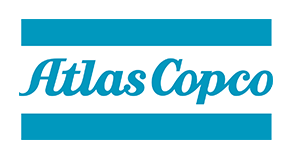 Atlas Copco in the United States handles the sales and service of industrial gas and air compressors, dryers and filters, compressor parts and service, and vacuum pumps; construction and demolition tools including mobile compressors, pumps, light towers and generators, excavator attachments, handheld tools, compaction and road construction equipment; Industrial electric, pneumatic, cordless transducerized assembly tools, alongside an extensive range of pneumatic grinders, sanders, drills, chipping hammers and riveting systems, and mining equipment. Our customers are supported by a nationwide sales, distribution, and service network, to ensure that products are running at maximum efficiency and minimum downtime at our customers' sites. Autodesk makes software for people who make things. If you’ve ever driven a high-performance car, admired a towering skyscraper, used a smartphone, or watched a great film, chances are you’ve experienced what millions of Autodesk customers are doing with our software. With Autodesk, you have the power to make anything. Logistics is about solving people’s problems. 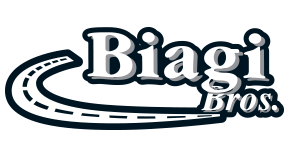 As a full-service logistics company, Biagi Bros provides businesses and organizations with 3PL & supply chain solutions. Because our distribution centers, warehouses and truck terminals are strategically located throughout the U.S., we can resolve logistics challenges in creative ways. We are where you need us to be - with the 3PL services you need us to have. Big Tine is the only deer product on the market to harness the power of whitetail institutes 30-06 mineral/vitamin supplement which is scientifically formulated to be easily digested & utilized by whitetail deer. With twenty years of extensive research, imperial 30-06 is proven to enhance growth & antler development. A scientifically proven formula of wholesome grains, vitamins & minerals provides anti-oxidants to improve the health & longevity of your deer herd. Big Tine also includes essential fatty acids omega-3 & omega-6, which have been shown to protect against heart disease, boost immune response & support reproductive function. Big Tine is a one of a kind formula that attracts, holds and grows your deer to their full potential. For fleets, bulk DEF management is a critical component of keeping the trucks on the road. Because of the need to maintain purity, it is not enough to start with the highest quality diesel exhaust fluid, your equipment for DEF storage, transfer and pumping have to be on par with your DEF to ensure what starts pure stays pure. Whether you are an owner-operator or manage a large multi-location fleet, PEAK Commercial & Industrial has everything you need to ensure the BlueDEF you put in your trucks meets or exceeds all EPA standards. BlueDEF is formulated to meet the stringent requirements of the API and the ISO 22241 standards. Using DEF, SCR technology reduces the NOx emissions of diesel engines while simultaneously improving fuel economy. This process requires DEF of the highest quality, such as BlueDEF. To help ensure the purity, BlueDEF has a line of DEF storage, transfer and dispensing equipment to meet the wide range of needs that our customers face. From bulk storage for indoor as well as insulated bulk DEF storage to mobile storage and dispensing equipment, BlueDEF is your single source DEF solution. From our start as Busch Bavarian Beer, the first beer introduced by Anheuser-Busch after prohibition, to the introduction of Busch Light in 1989 and beyond, our history has been a long and illustrious one. Busch Beer is made with the finest ingredients, including a blend of premium hops, exceptional barley malt, fine grains and crisp water. This recipe, unchanged since 1955, delivers a refreshingly smooth taste & easy finish. Busch Light is brewed longer to create a lighter body and fewer calories while always delivering that classic taste. A HISTORY OF SUCCESS is more than a goal, it's a legacy. For more than 100 years, DEKALB® has built a reputation for proven performance. Breaking new ground – and new barriers – to provide farmers with corn products that deliver consistently superior yields across a variety of soils and conditions. All backed by 100% exclusive genetics and leading innovations to ensure A FUTURE OF PERFORMANCE. FIELDS, one of the Sports Fields Inc. companies, is the preeminent builder of fields and sports parks in the country. At FIELDS, we are committed to Building Sports Parks of Distinction. Our fields facilitate peak team performance, are constructed using the industry’s best resources, and embody the essence of durability, precision, technological innovation, service and quality. By combining the premium quality of our fields with the best in customer care, we create sports parks of distinction that wow teams, coaches and guests. We are truly setting the standard in today’s field construction and sports park construction business. Through well thought-out equipment upgrade and investment, as well as a sharp focus on the highest level of customer service, FIMS Manufacturing continues to thrive and grow as a third generation machine shop. FIMS is a world leader in machining and machine solutions. With almost 50 years of experience and dedicated employees your next project will be our best. Ford's racing program is part of the Ford Performance organization based in Dearborn, Mich. It is responsible for major racing operations globally, including NASCAR (Sprint Cup Series, Xfinity Series, Camping World Truck Series), IMSA WeatherTech SportsCar Championship, FIA World Endurance Championship, Chinese Touring Car Championship, Formula Ford (Formula Four) and NHRA sportman drag racing. In addition, Ford's action motorsport programs involve Global RallyCross, FIA World Rallycross and Formula Drift. The organization also oversees the development and marketing of Ford's racing engines and performance parts, as well as the outreach programs with all Ford Clubs and Ford enthusiasts. For more information regarding Ford racing's activities, please visit www.facebook.com/FordPerformance, @FordPerformance on Instagram and @FordPerformance on Twitter. GoBowling.com is the destination for bowling fans and enthusiasts seeking news and information about one of America's favorite pastimes and the nation's number one participatory sport. With more than 67 million people taking to the lanes every year, GoBowling.com is a one-stop location where people of all ages can go to satisfy their love of bowling. Consumers turn to GoBowling.com every day to find bowling fun – discovering new bowling centers, tips and tricks to use on the lanes, event news and great deals at more than 1,700+ family-friendly bowling centers across the country. Haas Automation is the leading builder of CNC (computer numerically controlled) machine tools in America, and one of the largest in the world. All Haas products are manufactured in the company's 1-million-square-foot facility in Southern California, and distributed through a network of more than 170 Haas Factory Outlets, in more the 50 countries. Haas CNC machines are used by job shops, contract engineering firms, and manufacturers worldwide to make parts for nearly every industry - aerospace, automotive, mold & die, electronics, medical, telecom, motorsports, electronics, defense, oil & gas, and more. Haas products deliver higher accuracy, repeatability and durability - at better prices - than any other machines on the market. This commitment to quality is what makes American-made Haas machine tools the best value in the industry. With more than 7,500 locations in 28 states, Hunt Brothers® Pizza is the nation’s largest brand of made-to-order pizza in the convenience store industry. Hunt Brothers Pizza offers original and thin crust pizzas available as a grab-and-go Hunk perfect for today’s on-the-go lifestyle or as a customizable whole pizza that is an exceptional value with All Toppings No Extra Charge®. Headquartered in Nashville, Tennessee, Hunt Brothers Pizza is family owned and operated with more than 25 years of experience serving great pizza to convenience store shoppers through its store partners. The Hunt Brothers Pizza app is available on the App Store or Google Play. 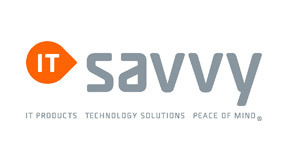 ITsavvy empowers IT teams with a dynamic combination of technology products, cloud & security expertise, IT engineering capabilities and certified support. Availability: Our ecommerce portal offers more than 1.4 million products and more than 1,000 brand names. Expert Support: Dedicated Client Executives guide product selection with competitive pricing. Logistics: 46 national distribution centers ship 99% of in-stock items the same day as ordered. Configurations: We offer in-house configuration, imaging and asset tagging. IT Lifecycle Management: As a no cost service, we track licenses, warranties and subscriptions. We negotiate and renew contracts to ensure that operation-critical assets don’t lapse. Technology Solutions: Our technical capabilities include Security Solutions, Engineered Solutions, Managed Services, Cloud Solutions and Unified Communications. We respond to IT challenges with expertise in cybersecurity, disaster recovery, data center operations, network management, wireless, help desk support and backup. All of that, and peace of mind, too. Jacob also provides design and management services throughout the broad spectrum of technology, installation and information transport systems including structured cabling, low voltage, network service delivery and wireless solutions. It would be a 19-year-old with two first names that would answer America's cry for lunch, Jimmy John Liautaud. Jimmy knew that if he kept it simple he could create the world's greatest gourmet sandwich. We currently have over 1600 stores open. What makes Jimmy John's different from the rest is that it's honest, it's damn good, it's damn fast, at a decent price! Jimmy John's definition of fresh is worlds apart from everyone else's. Bread is baked in-house every day and served fresh. Meat and veggies are sliced fresh in-house every day. The turkey is real turkey, the roast beef is real roast beef - no additives, no vegetable-based fillers, no fake stuff. Nothing is delivered pre-sliced. Real Hellmann's mayo, real Grey Poupon, real olive oil and red wine vinegar - it's the best of the best. With perfect bread, systems in place, spectacular employees and leaders who lead and don't pass the buck, Jimmy John's box rocks. The culture that was created in the restaurants is the same culture that drives the corporate office. "Make a deal, keep a deal" is the Golden Rule. Do it now - make it happen - be a go-getter, no excuses. Jimmy John's employees are the ordinary people doing extraordinary things. They want to be the best. They don't mind doing whatever it takes to get the job done. Their hustle is part of how they live their daily lives, and they enjoy the fruits of a hard-earned entrepreneurial lifestyle. Once again, Jimmy John's wants only the best for the best. The world's leading synthetic motor oil brand, Mobil 1 features anti-wear technology that provides performance beyond conventional motor oils. This technology allows Mobil 1 to meet or exceed the toughest standards of car builders and to provide exceptional protection against engine wear, under normal or even some of the most extreme conditions. Mobil 1 flows quickly in extreme temperatures to protect critical engine parts and is designed to maximize engine performance and help extend engine life. At Scott Pet, we know that pets are an integrated part of the family! Scott Pet, Inc has been a family-owned manufacturer and distributor of quality products for over 40 years! We pride ourselves on our understanding of dogs, their needs and what is best for their health and overall happiness. At FACC, we see more than 1,500 new cancer patients every year. 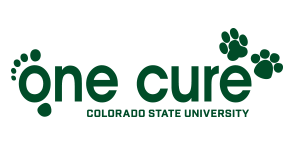 Annually, about 100 pet patients enroll in carefully-monitored clinical trials, each one specific for their cancer type. With their owner’s consent, our canine and feline patients are pioneers in cancer research, helping us move cutting-edge treatments off the laboratory bench and into clinical practice; providing hope to the next generation of animal and human cancer patients. PEAK’s parent company, Old World Industries, is an independent, family-owned business that has been a leader in the development and distribution of high-quality automotive products for over four decades. Yes, there’s a 40-year history of American ingenuity constantly pushing and never settling for less than quality products at a fair price. Forty years of entrepreneurs developing products for the most extreme climates & working conditions that equal billions of miles on the road in big rigs and billions of hours of heavy equipment in the mines and on the farm. The PEAK brand has always been a little different – and always about the customer. We’re not here to sell you more performance than your car needs just to make a few extra dollars. Great products. Great prices. Do right by your ride and your wallet. World Class innovator for performance engines. Staying true to the Company’s mission to provide winning engines through demonstrated power and performance. Ruckus Networks is redefining connectivity by bridging the digital divide and connecting people around the world. At Ruckus, we work with our channel partners, OEMs and strategic partners to deliver ubiquitous connectivity with our access points, switches and cloud services. We are passionate about producing good food the right way. Our business depends on the humane treatment of animals, stewardship of the environment, producing safe and high-quality food, the vitality of local communities, and creating a fair, ethical, and rewarding work environment for our people. We will further transform Smithfield Foods into a world-class consumer packaged goods and protein company—one that consumers feel good about buying from—and a partner of choice for our customers. We’re a privately held family business of engineers, contractors and manufacturers based in Rialto, California. From our humble beginnings, we built a family of products to meet the needs of all kinds of infrastructure. Each generation of products is better than the previous. Thompson Pipe Group (TPG) is now the largest and most diverse drainage, sanitary, pressure and trenchless pipe provider, with manufacturing locations across the country and serving not just the US but all of North America. In the past, buying a vehicle service contract meant paying up front for years of coverage or making a large down payment. Toco decided that it didn't have to be that way. What if auto repair protection could be an easy, affordable monthly expense, much like a utility bill? What if, by paying a small amount each month, you could keep your vehicle protected? Because Toco and its affiliated companies handle all sales, finance, administration and the insurance backing the plans, we're able to offer you the maximum amount of coverage based on your car's mileage and age, while still keeping fees affordable. And because we believe in educating our customers, we make it easy to understand what your plan covers so there's no surprises down the road. Located in sunny California, we're passionate about serving our customers. Just like the Toco toucan, our team is a spirited, fun and creative bunch of people dedicated to providing helpful, friendly customer service. Valley Technical Academy invests in the community by providing an alternative path to traditional education with an immersive, hands-on, real world approach that places students in a job after completion of their season and the opportunity to be a life-long learner.